When it comes to installing and maintaining HVAC systems, employers want their work force to be well trained on two fronts: efficiency and safety. 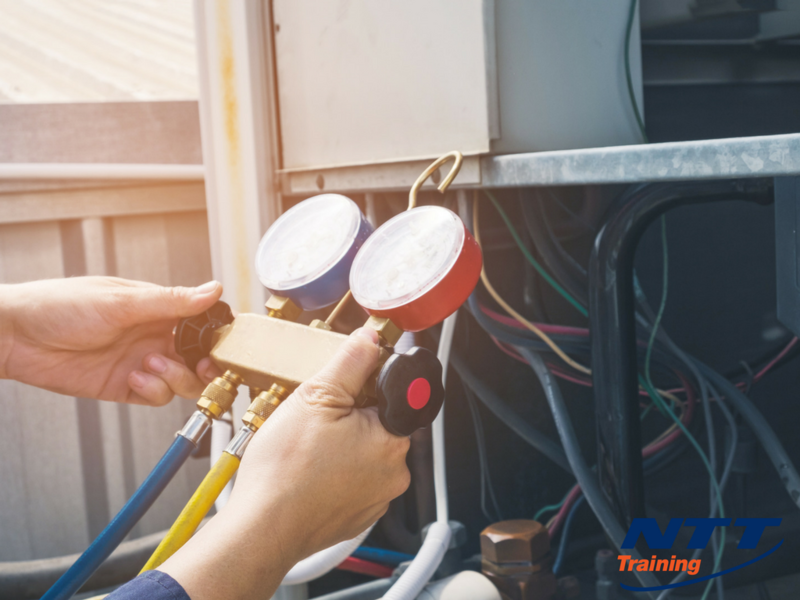 Refresher courses or seminars devoted to HVAC efficiency and safety topics can help your team stay abreast of the latest developments in the industry. Additionally, new heat recovery ventilation systems help reduce energy costs by capturing heat generated inside the home when stale air is exhausted through the vents. These technologies have the added benefit of reducing the carbon footprint of the residence or the business, which not only helps the environment, but also enhances the image of the business as one that is concerned about doing its part to reduce carbon emissions. Installing units that feature these newer technologies requires that workers know how to obtain maximum efficiencies from the equipment so customers get their money’s worth. Even the installation of older, more familiar systems requires a well-trained technician who understands how HVAC systems work holistically when each component is coordinated with the other to maximize efficiency. For example, the most sophisticated computerized heating system with the highest AFUE (annual fuel utilization efficiency) will not perform at peak if the duct (ventilation) system is not designed, installed, and maintained properly. Whether you’re a novice or a seasoned HVAC worker, it’s important to not only be familiar with well-established safety procedures in the industry, but also to practice them. A refresher course or workforce training seminar can help your team become more alert to industry hazards, safe practices, and the proper use of safety equipment. In fact, ACHR reported that in 2014, 4679 U.S. HVAC workers were killed on the job, mainly due to falls and electrocution. A workplace culture where safety is valued will not only reduce employee downtime due to injury, but also enhance productivity and efficiency. Yes, the HVAC industry has many inherent dangers in the performance of routine installation and repair, but by stressing safe practices, those hazards can be minimized. An additional incentive for enhanced safety is the fact that in 2016, the Occupational Safety and Health Administration (OSHA) increased fines for safety violations. That is another reason for HVAC consultants to stay on top of safety issues with their teams, to avoid fines and lawsuits. Check out NTT Training’s HVAC Heating and Ventilation course. Help boost efficiency while improving workplace safety by offering this training for your team. Connect with NTT Training today for more information.